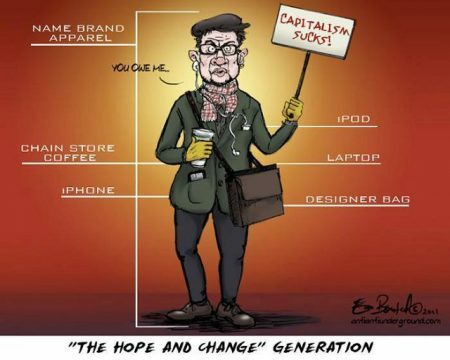 If it was so destructive to our nation, the Millennials’ dreams of Socialism and enforced equality of result – along with a total lack of discernment in any matter except where and when said discernment can be used to further a meritless egalitarian State – would be utterly and completely hilarious due to these Millennials complete lack of self-awareness and/or rank hypocrisy. This entry was posted on Saturday, September 15th, 2018 at 7:54 am and is filed under Politics, Society. You can leave a response, or trackback from your own site.